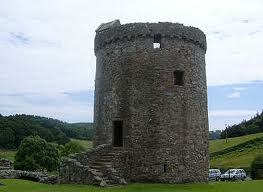 Tower houses became popular in Scotland from the 14thcentury onwards. The construction of tower houses avoided the expense of the larger castles. They consisted of a high tower with thick walls which were surrounded by wooden out-buildings including great halls, kitchens, and stables. Later tower houses included L-, E-, and T-shaped additions. The tower houses incorporated the strong walls of their predecessors but were easily defensible and cheaper to maintain. 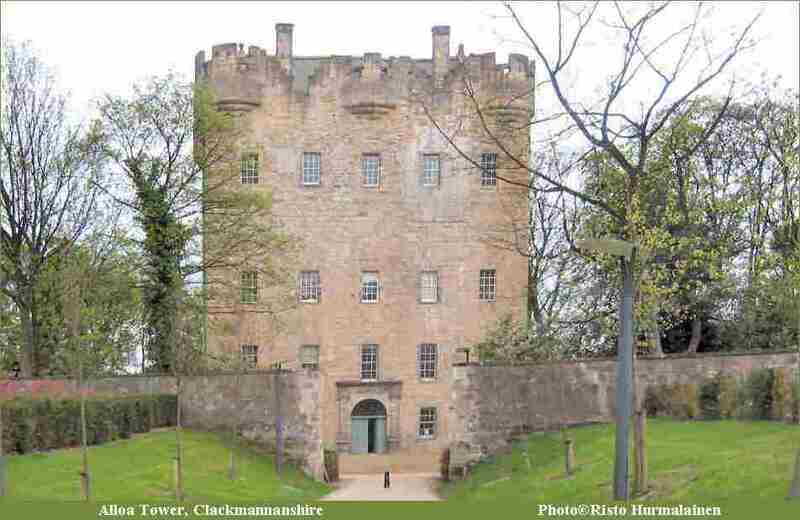 The largest existing tower house is Alloa in Clackmannanshire close to Stirling Castle. It is an L-shaped tower built by the Erskines who were the Earls of Mar. It was built in 1497 and expanded to five stories in the 16th century and has its own dungeon. It has been restored and is open to the public. The Stewart family was closely associated with the Erskines and James V, Mary Queen of Scots, and James VI all spent time there. Also pictured is a rare round tower house.